IWC has remade its Jubilee Portuguese in a limited edition for the 10th anniversary of Revolution, a Singapore-based watch magazine, perhaps pointing the way to what its flagship product for the 75th anniversary of the Portuguese wristwatch coming next year. 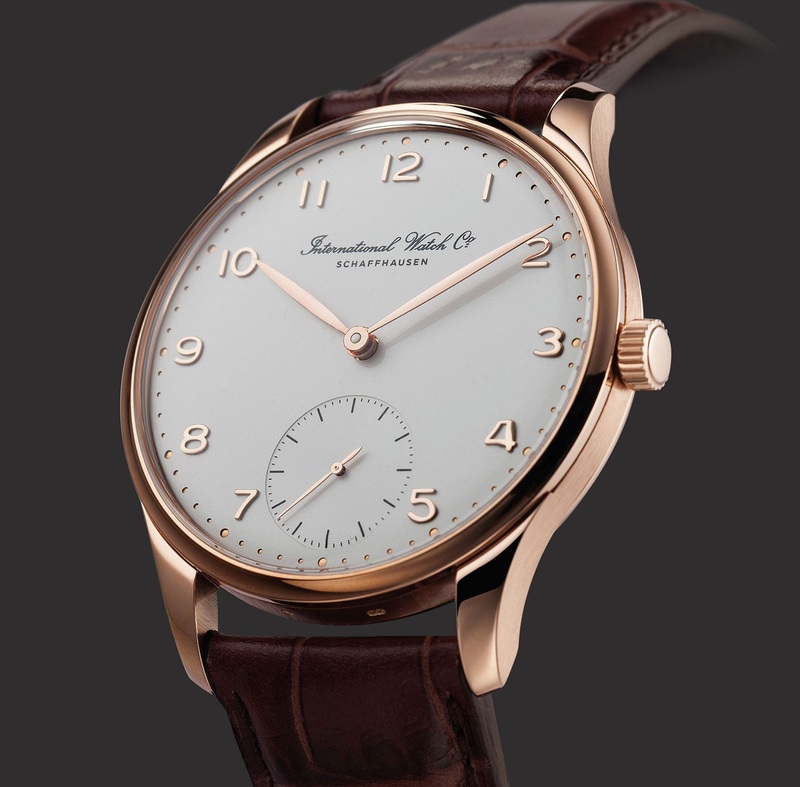 In 1993 IWC celebrated its 125th anniversary with the Portuguese Jubilee ref. 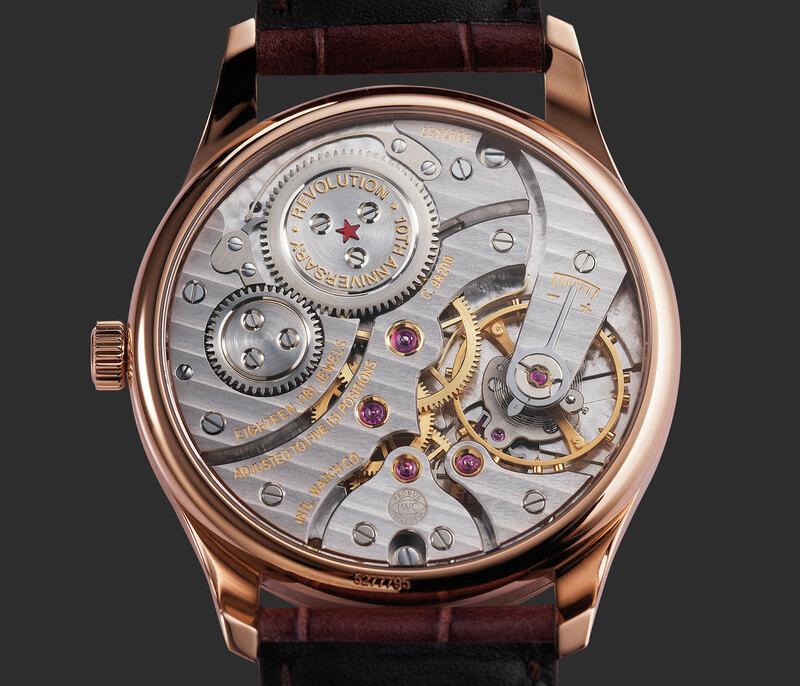 5441, a watch much desired by IWC fans today. For the 10th anniversary of Revolution, IWC has remade the Jubilee in a 10-piece limited edition that is nearly identical, but not exactly so. Perhaps this reissue is a hint as to what is to come at SIHH 2015, which also happens to be the 75th year of the Portuguese, arguably IWC’s most important product line. It makes little commercial sense for a company like IWC to make such a small run of watches, so fans of the classic Portuguese will probably like what’s in store for SIHH next month. 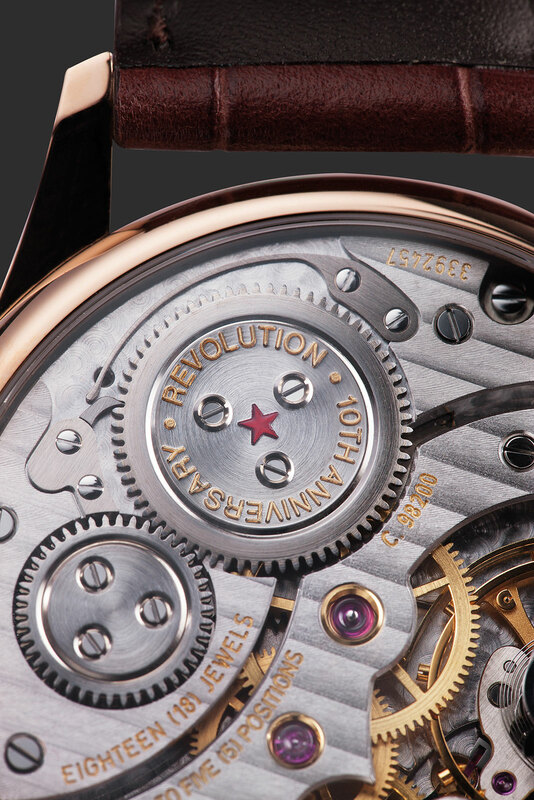 The biggest change in the new Jubilee is the movement, the calibre 98200. Though a variant of the old school pocket watch calibre 982 found in the original Jubilee, the 98200 is distinctly different. Mainly used for training sessions conducted by IWC, the 98200 is more modern in style, with fewer bridges. And the dial is different as well, with one improvement being the applied numerals instead of stamped numbers as used on the original. The lettering at 12 o’clock has also changed, most obvious in the font used for Schaffhausen. 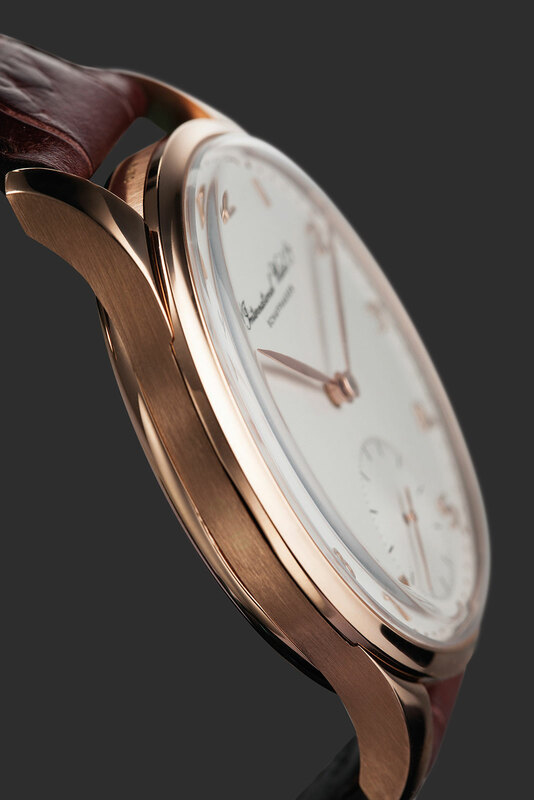 The case is rose gold and 42 mm, the same as the Jubilee. This will be available only at IWC boutiques in Singapore, Hong Kong and New York, at a price of 22,000 Swiss francs or 29,000 Singapore dollars. Only 10 will be made, with one set aside to be auctioned off with all proceeds going to Operation Smile, a charity that helps children with cleft lip deformities.